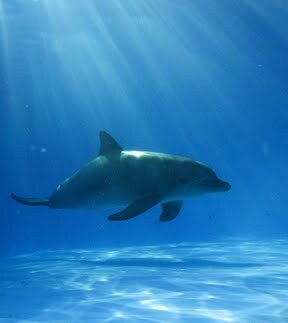 Investigation into allegations in "The Cove"
We highly recommend looking into this investigation. Someone, so far unknown to us, has taken it upon themselves to investigate allegations made in the Oscar-winning documentary "The Cove" about dolphins being sold from the slaughter site to dolphin facilities "all over the world". It struck us, when we watched The Cove, that it was a continuation of the mis-representation of facts that Ric O'Barry has indulged in for many years. These two short videos only begin the deeper investigation into O'Barry's manipulation of facts. "Note to all: As the producer of this video, allow me to state quite clearly this work is mine alone and has not been commissioned by or for Sea World, or for any other aquarium for that matter. Their parks were specifically referenced in this video only because they were featured prevalently in The Cove. This video is not intended to be "pro" or "anti" captivity, just to keep to facts of a volatile issue - and one that needs to be solved with honesty." We look forward to the movement toward more honesty in this issue. We support the move toward a diplomatic solution of the Japanese slaughter, including a much better attitude of respect toward the Japanese people, their culture, and dignity. It is not acceptable to us to characterise Japanese people as dolphin killers as a generalisation and the stated intentions of the producers of The Cove to increase anger toward the Japanese people. This is counter-productive and can only add to the very complex challenges this presents to both Japan and other nations.